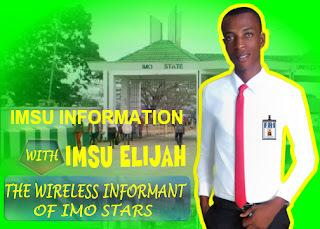 WELCOME TO ELITISM6.COM: Disqualified Imsu SUG Presidential Candidate Maf writes a heart touching piece to Chyso after he betrayed him. Disqualified Imsu SUG Presidential Candidate Maf writes a heart touching piece to Chyso after he betrayed him. The most controversial of the disqualification was that of a frontline contestant and the most favorite to win the SUG election Rotr. 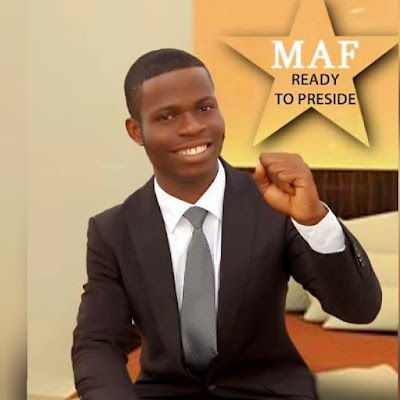 Chukwunenye Maduabuchi Stanley (MAF) who was disqualified from the SUG elections without any logical proof or reason. While still fighting to get his candidature back the student activist today, in a lengthy write up poured out his disappointment and the betrayal he suffered in the hands of his fellow comrade Chyso whom he accused of instigating his removal from contesting for Imsu SUG elections. After listening carefully to the leaked conversation between my good friend and beloved brother, the Uneco chairman and one of the SUG vice presidential candidates, I sincerely wish to openly thank him for his well received slander, defamation, character assassination and gun powder plot geared towards tarnishing my hard earned reputation over the years. Earlier before now, I have refused to believe that a person of Nwogu Chyso in his position as the Uneco chairman would want to insight hatred on my candidature having known how far we have gone as student leaders and sacrifices we have made together to salvage pressing issues bothering on the welfare and security of the students but surprisingly, I am really disappointed with all the ill statements he has been making about me to students just to bring me down (I don't know what I did to him to deserve this). As a fatherless child who lived and schooled in IMSU right from the days of my nursery school, every staff in Imsu can attest to the fact that my dad when he was alive as one of the pioneer staff of the University was very peaceful and kindhearted man who trained his children in the fear of God and has always encouraged peace and unity in all his dealings. Why am I being treated this way by someone I always called my brother and friend? Why would you allow politics and varying interest to destroy the friendship we have long enjoyed over the years? I overheard you telling people that I can never win SUG election but can you remember your days as a welfare directorate aspirant when even many of your level mates were criticizing you and tagging you a hungry and poor opportunist who is only coming to feed fat on the union purse and take advantage of the students, I stood by your side and worked for you despite the fact that I had a brother who needed my one vote by all means. Only if you can still remember. The last time I checked, I have never for one day approached you or any of your Uneco rep members to support me because I know you ought to be very neutral and unbiased empires in this election but I have always pleaded for a level playing ground where fairness, equity and justice can come into play to enable everyone show their political strength and also allow free, fair and credible election see the light of the day as if I had the revelation that you were seriously biased and taking sides with some of your choice candidates who possibly may have induced you with money. Chyso am really disappointed with your leaked conversation but I am still finding it difficult to believe you were the one involved in that 29mins discussion just to ridicule your fellow man's image. Chyso why? Even though you feel you have achieved your aim, I wish to thank you for everything you have plotted and executed against me, I pray God forgives you and whoever that was involved in this and I wish you well in everything you wish to do in life. I only pray my true friends and supporters see reasons with me to forgive you too. While I pray and appeal to all and sundry especially my fellow wonderful students of Imo State University for a peaceful election come Tuesday 20th of December 2016, I want to thank whoever that stood tall to expose such slanderous and defamatory conversation which I know is just one out of the hundreds made against me and I pray that God will reward the person in bountiful folds. I remain MAF, my vision for my dear Imo stars will forever remain evergreen and never die as I pray God gives us the grace to love one another despite all odds. To my dear friends, fans, supporters and well wishers reading this, I passionately beg you all to stay back and not travel as I am working seriously hard to know the real reason why I got disqualified at the dying minute of the election since it is not based on academic rating and secret cult involvement. To Chyso, I thank you very much once again for everything you have done and I pray karma doesn't visit you in future. Chukwunenye Maduabuchi Stanley aka MAF - Moving Aluta Forward.